An incomparable gift for making new ideas in the social sciences understandable, practical and valuable to both business and general audiences. Author of two perennial bestsellers. His most recent book: Outliers: The Story of Success is a best-seller. One of Time Magazine’s 100 Most Influential People and #10 of The Thinkers 50 2011. Gladwell has an incomparable gift for interpreting new ideas and making them understandable, practical and valuable to HR and business leaders alike. 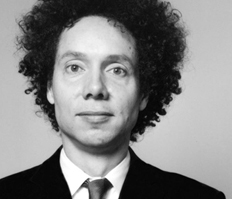 Gladwell uses his insight and intelligence to overturn many of our conventional notions about what makes a person successful, influential, cool, powerful, and effective. Malcolm Gladwell's General Session is available for all SHRM members. Click here to view his presentation. Malcolm’s book Outliers: The Story of Success is having an even greater impact than his first two books. In Outliers, Malcolm suggests an exciting new approach to helping people succeed by using the factors that really foster success. Outliers debuted as a #1 bestseller for The New York Times, The Wall Street Journal, The San Francisco Chronicle, Barnes & Noble, and Publisher’s Weekly. He is the author of two other New York Times #1 bestsellers, The Tipping Point and Blink. With his first book Malcolm embedded the concept of The Tipping Point in our everyday vocabulary and gave organizations new tools for understanding how trends work. In Blink he analyzed first impressions—the snap judgments that we all make unconsciously and instinctively— and he explores how we can master this important aspect of successful decision-making. Malcolm is a staff writer for the New Yorker magazine. His editor describes his work as a new genre of story, an idea-driven narrative that’s focused on the everyday and combines research with material that’s more personal, social and historical. He was previously a reporter for the Washington Post.